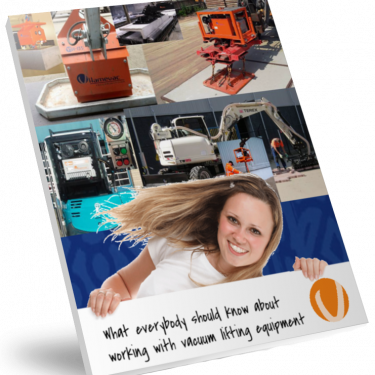 What everybody should know about working with vacuum lifting equipment! Everything you need to know about lifting with vacuum! How can I calculate my safe working load? There are several types of vacuum, what's the difference? How can we handle porous materials? There are stand-alone vacuum lifters, but also built in, which lifter is the best for me? I'm convinced, give me access!